Ya’ll know what they look like. Nice! Whats the steel on that? The AFCK with ATS-34 blade hand polished and an Nimravus Cub with M2 blade. As always, the Texas Poker and it’s battery bunker are always on my person. 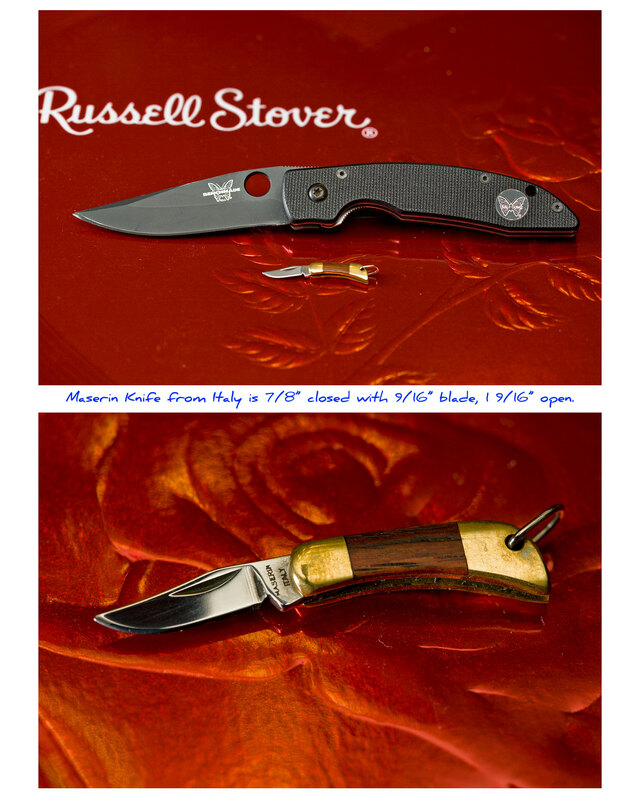 Sometimes I carry the Mini AFCK in place of it’s larger brother, but I’ve always got the Maserin folder with me as a treasured blade. A new release of the Mini AFCK would be great. I’ve been carrying this since the postman dropped it through the letterbox today. 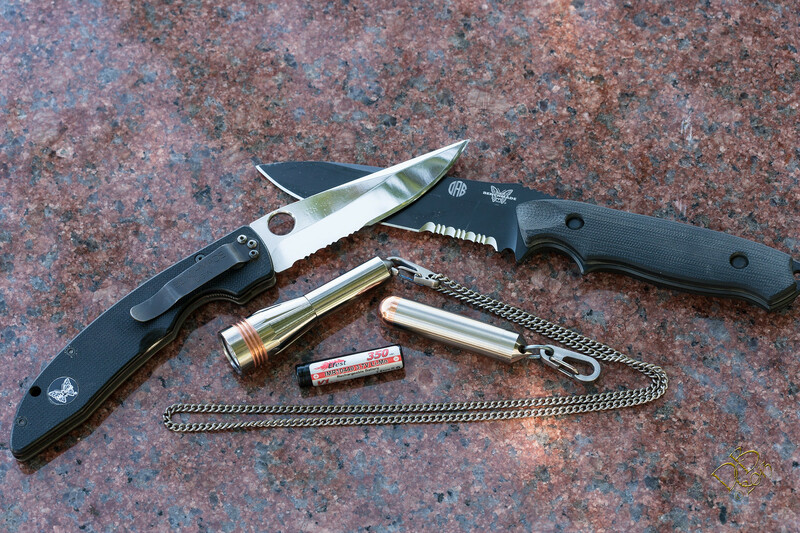 Tiny slip joint great keyring knife, less than an ounce and less than 2” blade. 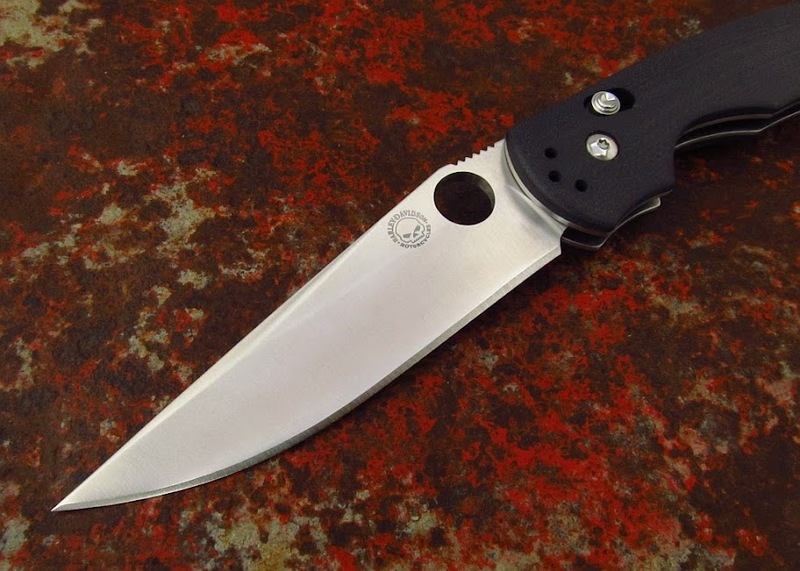 That SRM with be great with a 3” blade & a liner lock. It's been so long I forgot what it was called and had to google it. Just wonderful to hold with its big finger choils. The frame is two slabs of titanium with partial white micarta grips. 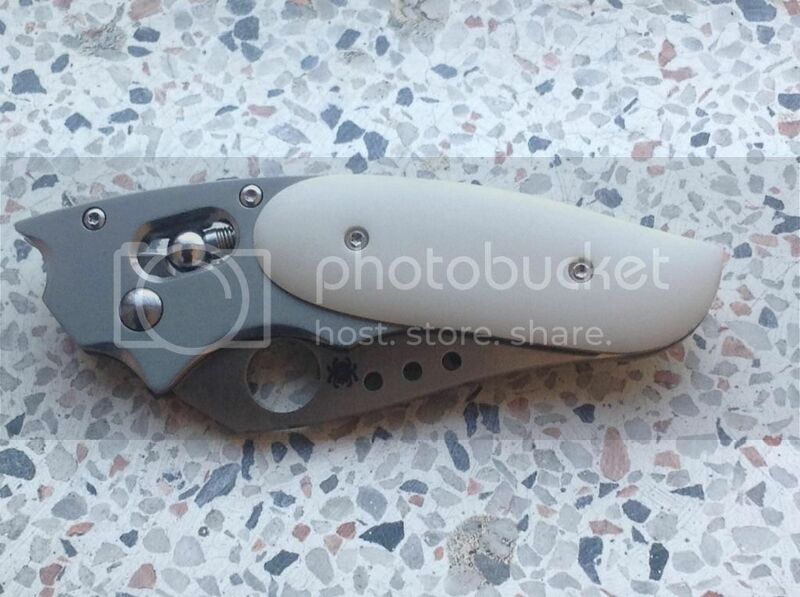 Even the pocket clip is curved with the contours of the knife. I know it sounds stupid, but I'm almost afraid to use it. It's been long discontinued. Remember you can put 100 in the line under the entry for the image link and it’ll ensure the picture stays within the bounds of the page. 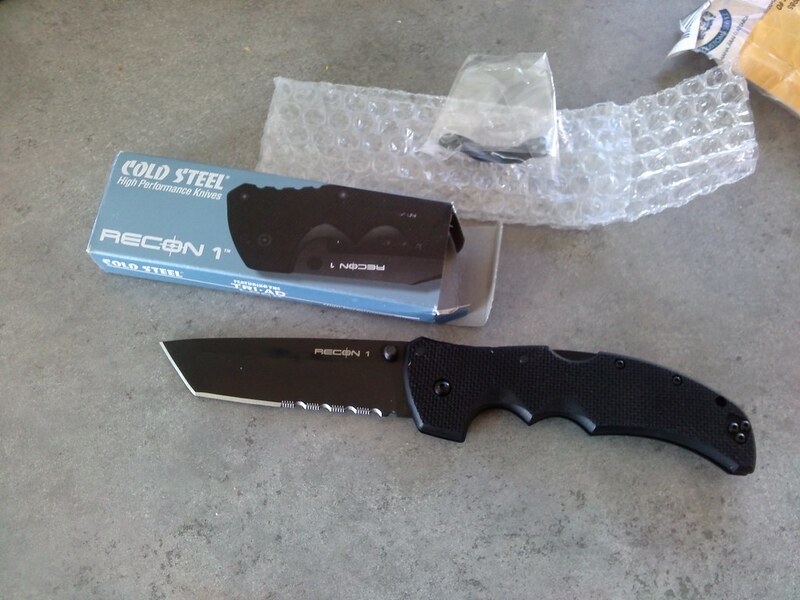 That is a very cool knife. 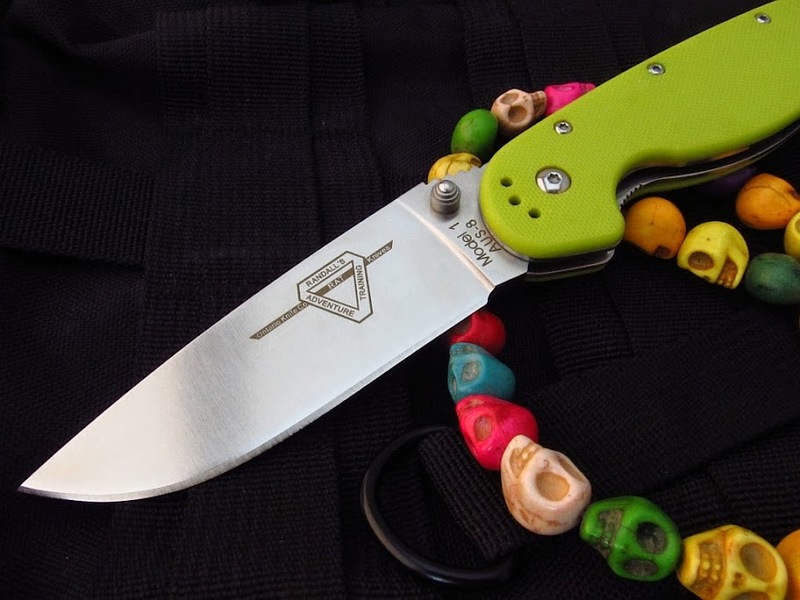 Is that a ball bearing lock, or is it a quasi-slip joint? It’s a ball lock. 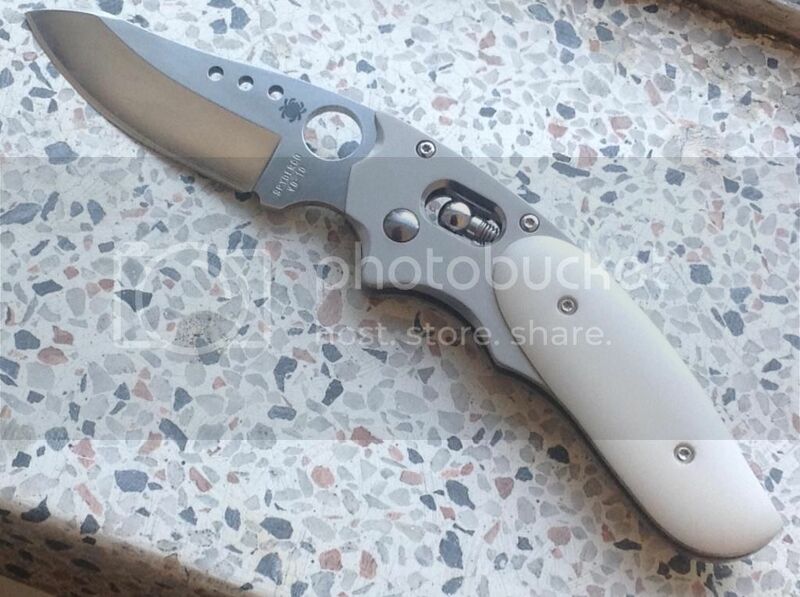 One of the reasons I bought it was because I didn’t have any ball locks in my collection…and I love white micarta. I always process my images to less than 600px wide and less than 100k in size, my photobucket has thougands of images and it’s still only 2% full’ I’ve been using it for years. 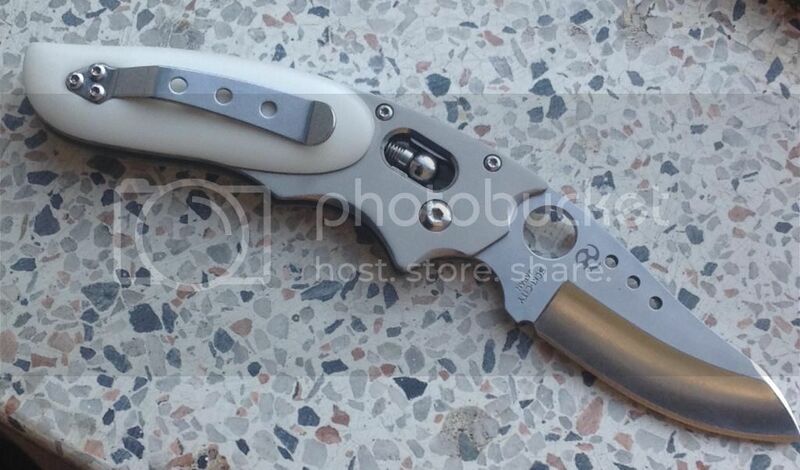 And the Phoenix is a very good looking knife, I’d be tempted to save it for “going out best” occasions, I couldn’t bring myself to EDC it and use the hell out of it, there’s other knives for that. That “budget” sebenza is a bit of all-right too. Dale, the more I see your Sebenza the more I seriously consider selling mine to get the CF insert version, I like the look of the Ti behind the insert (but could never totally give up CF). If mine wasn’t a dealer exclusive I would definitely do that. But they’re not the easiest to get, had to watch for mine I have, if I ever wanted to go back I probably wouldn’t be able to. 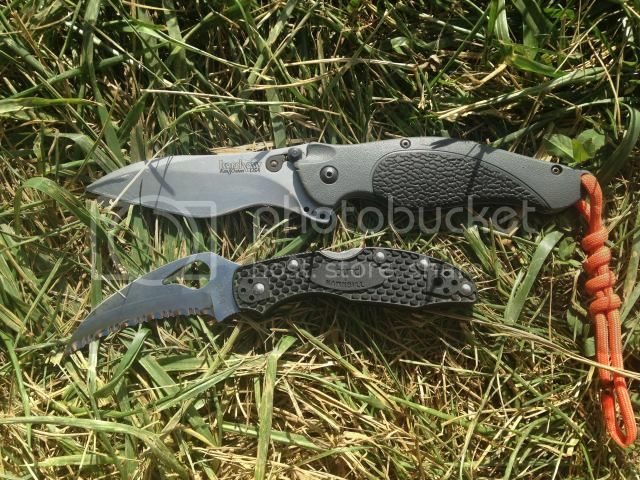 Maybe I’ll just gather up all my other knives.•, sell them and just have two sebbi’s. Love the CS talwar, just never had enough money to afford one. Supposed to be Sandvik 12C27 steel. 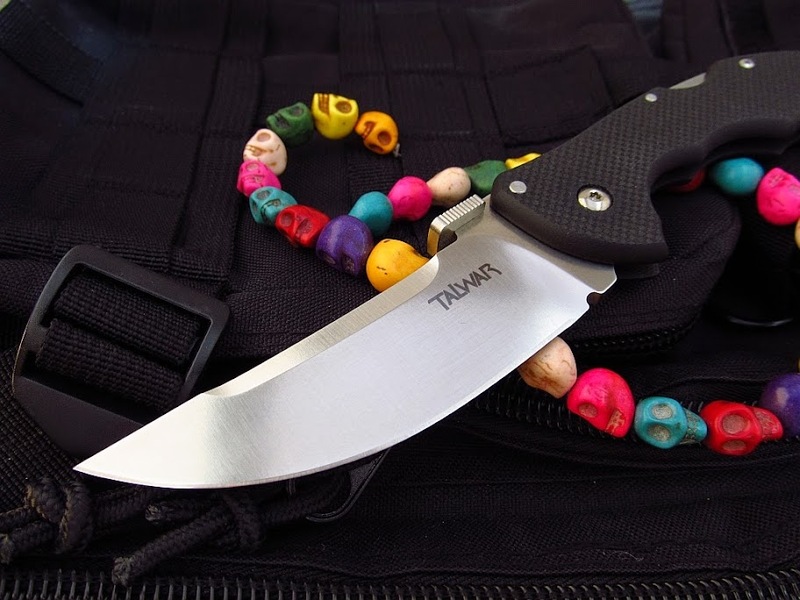 The lowly Gerber EAB loaded with the kick arse "Scalloped Utility Blade"
I’ll second the Hattori, although I carry the original rather than the junglee. Who made the original? It was my understanding the Original was from Seki Japan & they have copies made in Taiwan or something. Ichiro Hattori of Japan made the original series. He started out in 1954 at Masohiro in Japan making knives for export to Tekna. In 1971 he opened his own workshop and made hunting knives. The fighter first appeared in 1978 as a handmade from his shop and could be ordered with a choice of 4 woods for handle material. Mine was ordered in 1982 with Cocobolo. I ordered one in Ebony in 1989 that is slightly different in blade geometry (about 1.5mm longer with a slightly different placement of the blood groove). I think it would be hard to find all the minor variations as there are no serial numbers and no differentiation of lots that I can find. Junglee approached Hattori in 1993 about mass producing his knives in Taiwan. All of the Junglee production has been in 440c while originals can be found in ATS-34 or more recently AUS-8 steels. The big draw to the Junglee was its price at <$75 and its immediate availability. Originals can still be bought if/when he makes a run of them but they run $300-600 depending on materials (still a bargain for the quality) and usually sell out his production runs in less than a day. I’ve got a couple of those, SanRenMu are starting to use Sandvik 12C27 in some of their new knives, it makes a nice change but they do 8Cr13MoV heat treat so well it’ll be hard to beat. They are both good quality relatively inexpensive steels. 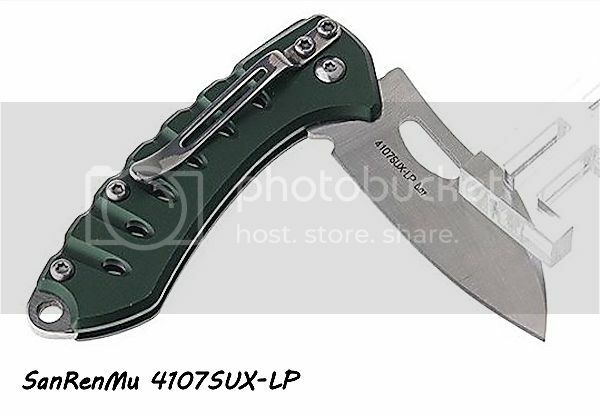 What I do find a bit disconcerting is SanRenMu have stopped putting the steel type on the blades of the smaller “home market” knives. 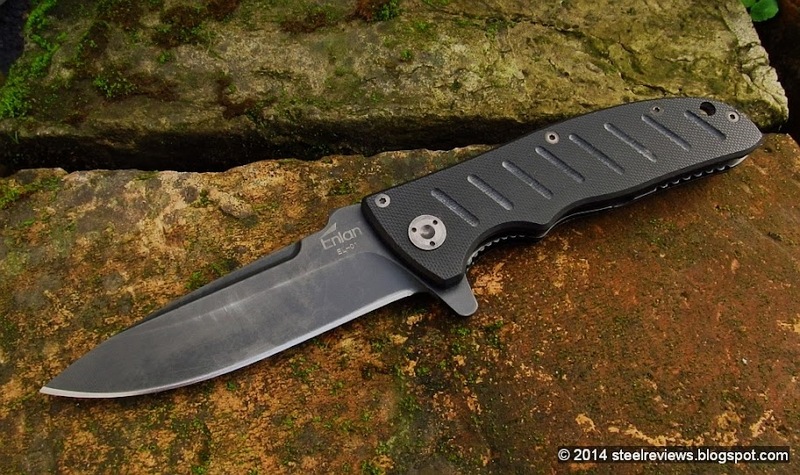 I trust SanRenMu not to misrepresent the steels in the specs for a knife, they have built a good reputation and I doubt that they would want to destroy that, but the likes of FastTech and Exduct are not too careful in the descriptions. Couple of strange ones today doing some yard work. 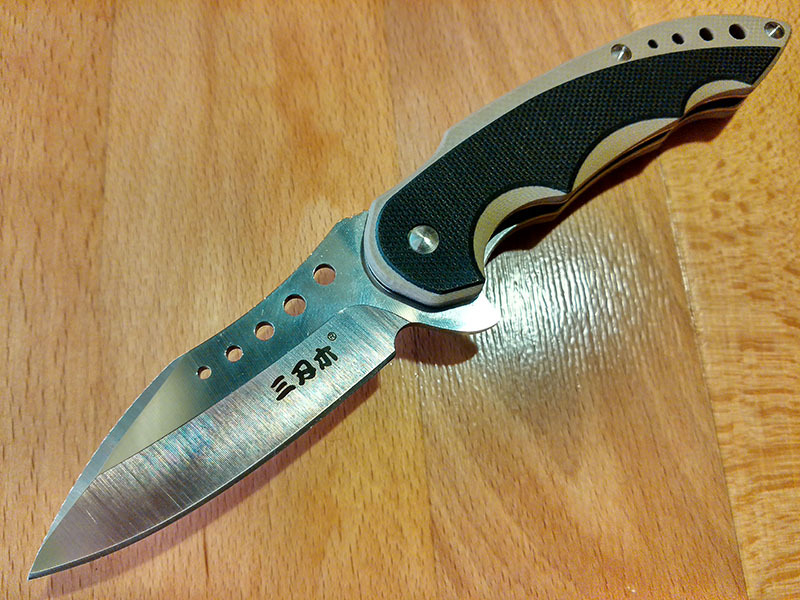 Byrd HB is the only knife I own that is tip down, the clip mounting location for tip-up is exactly where your palm goes. The kershaw has a very cool lock. Both are nightmare’s to sharpen.